Relief for hypersensitive dentin, gingival recession, and post-op sensitivity. Shield Force Plus improves bond strength and can be used under every direct or indirect restoration. Shield Force Plus delivers immediate and long-term relief from sensitivity by providing two layers of protection. The first layer seals the dentinal tubules and the second layer forms a protective coating over the dentin. 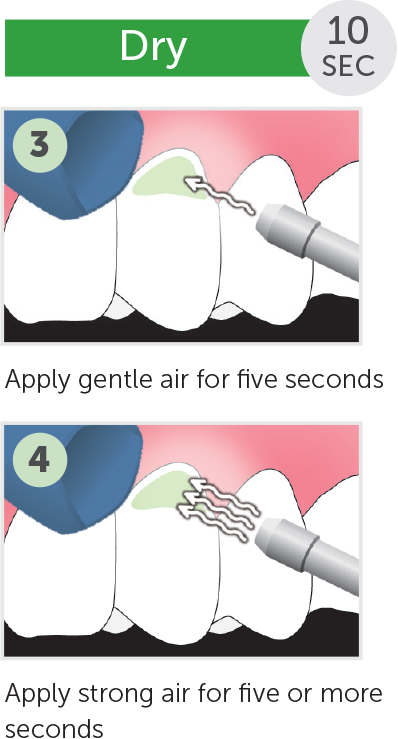 Complete the Shield Force Plus procedure in 30 seconds before etching or applying any adhesive. 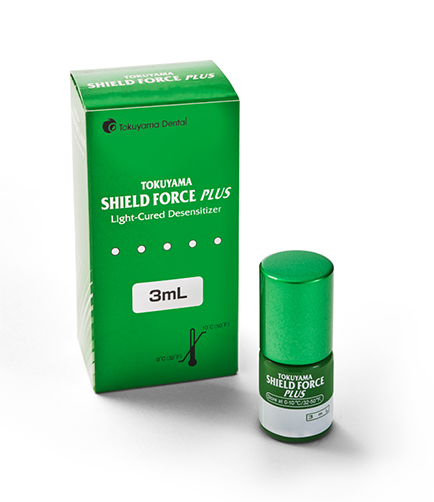 Shield Force Plus is non-toxic and irritation free** – safe for you and your patients. *Results may vary based on patient diet, proper oral care, and conformance to product directions. Wear data tested in vitro. With a safe, irritation-free resin formula, Shield Force Plus allows clinicians to offer their patients two layers of protection against sensitivity. 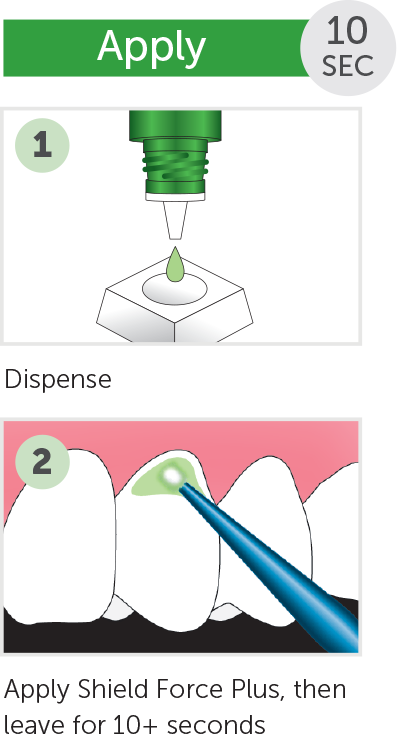 When Shield Force Plus is applied, it seals the dentinal tubules by forming resin tags that penetrate 50μm deep. 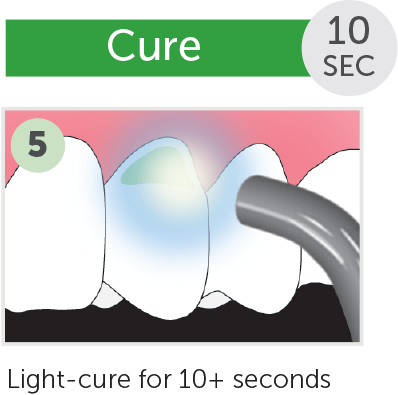 When light cured, a durable 10μm layer is formed over the resin tags, which protects the dentin from bacteria and abrasion. A long lasting desensitizer needs to be able to stand up to just about anything patients do. After 10,000 thermal cycles to simulate extreme intraoral conditions, Shield Force Plus demonstrates superior sealing and long term durability compared to other products. 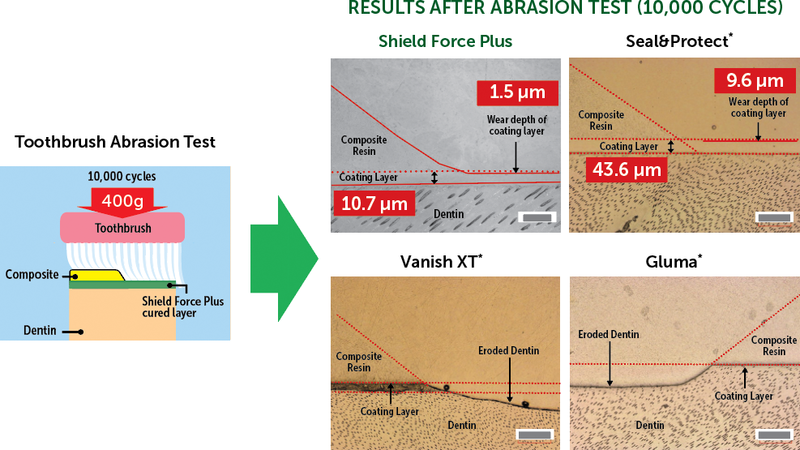 Even under conditions that simulate patients brushing their teeth three times a day for three years, Shield Force Plus is barely affected by abrasion. Other leading products wear away, leading not only to sensitivity returning but also to the erosion of the underlying dentin. 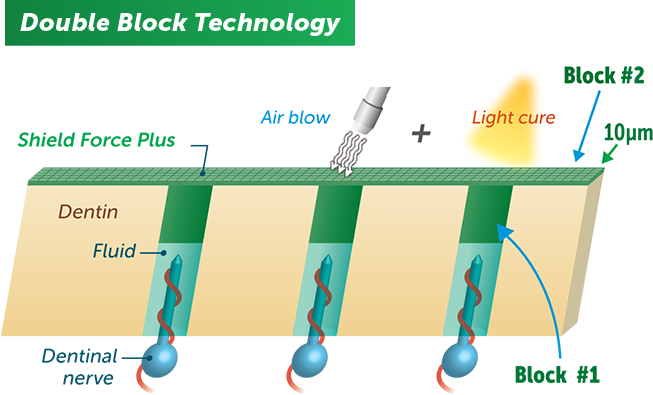 air-dried and light-cured for 10 seconds, the material becomes clear. 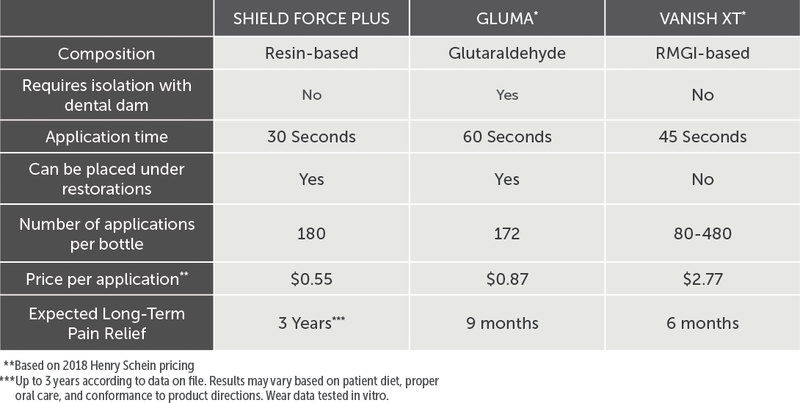 Shield Force Plus offers better results for the patient and better value to the clinician because it lasts longer, has fewer steps, has a shorter application time, and a better value per application.